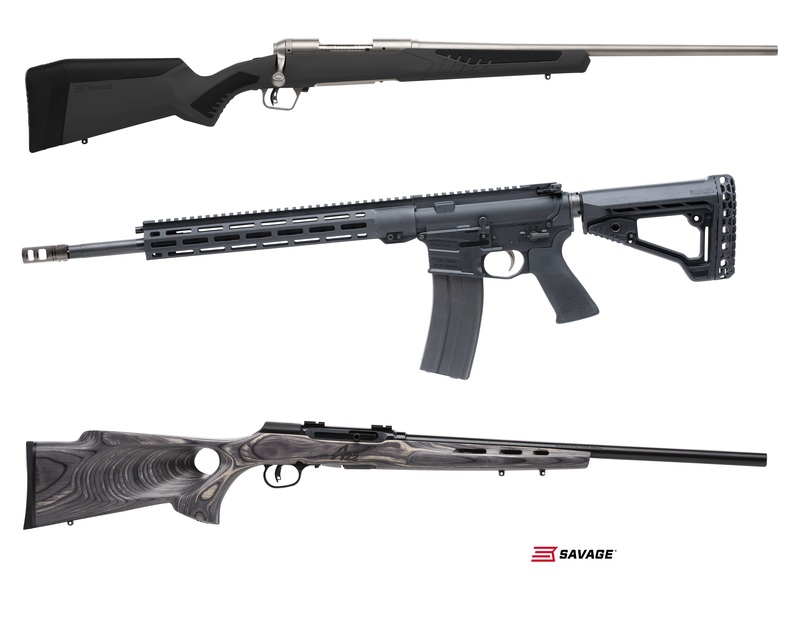 WESTFIELD, Massachusetts - January, 12, 2018 - Savage will launch more than two dozen new products within several product lines at the 2018 SHOT Show, January 23-26 at the Sands Expo Center in Las Vegas, Nevada. Model 110 Storm with AccuFit: Conquer hunting’s most punishing weather and conditions. Sixteen caliber and left-hand options. Model 110 Long Range Hunter with AccuFit: Engineered for long-range shooting with a 26-inch barrel and muzzle brake. Nine caliber options, including 338 Lapua Mag. Model 110 Lightweight Storm with adjustable length-of-pull: Maneuverable in the field thanks to a lightweight stainless steel barrel and action. Length-of-pull is easily customized. Six caliber options. AXIS II XP with updated stock: Popular package rifle with redesigned, ergonomic stock and Bushnell Banner 3-9x40 scope in full-size and compact models. Twenty caliber/configuration options. MSR 15 Valkyrie: MSR 15 chambered for the all-new 224 Valkyrie. This new model features an adjustable gas block, furniture upgrades, and the Elite Series flat dark earth cerakote. MSR 15 Recon Long Range Precision: Equipped with alternate furniture options and chambered in all-new 224 Valkyrie, 22 Nosler and 6.8 SPC. MSR 10 Long Range in 6mm Creedmoor: Delivers precision accuracy and chambered in the new flat-shooting, long-range 6mm Creedmoor cartridge. MSR 10 Hunter in 338 Federal: Built specifically for hunters and chambered in the popular, hard-hitting 338 Federal. 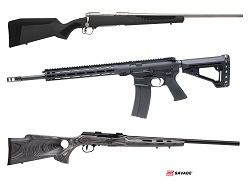 B Series Compact and Left-hand: Extremely accurate bolt-action 22 LR, 22 WMR and 17 HMR options. Now available in compact and left-hand models. A Series Pro Varmint: Semi-automatic options in 22 LR, 22 WMR and 17 HMR, all with a Boyd’s Pro Varmint stock and 22-inch fluted, heavy barrel.